Martin Luther called it an “epistle of straw”. The sometimes negative view of the letter among modern theologians, however, is not shared by ordinary believers. Few books in the New Testament are better known or more often quoted, and because James is so concise, so intensely practical, and so filled with memorable metaphors and illustrations, it has become one of the two or three most popular New Testament books in the church. 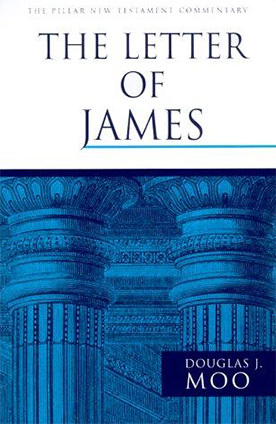 The highly original commentary on James by respected New Testament scholar Douglas Moo combines penetrating scholarship with the simplicity of style and pastoral tone characteristic of James itself. After discussing such background issues as authorship, genre, purpose, structure, and theology, Moo provides a verse–by–verse exposition of the text that leads readers to the heart of James’s message – wholehearted commitment to Christ. In addition to expounding the meaning of James, Moo also takes care to provide practical insights for applying the meaning in the church today. A number of years in the making, interacting with the best and most recent works on James, and written for readers at all levels, this volume will quickly become a standard commentary on James.